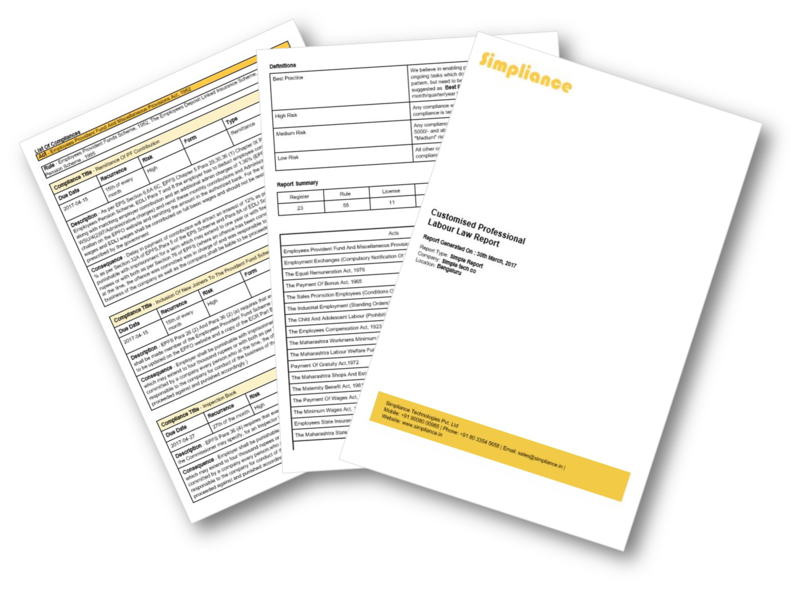 Simpliance gives you the latest and most accurate compliance checklist customised to your industry, state and headcount. Simpliance provides technology-based governance, risk and compliance solutions to organizations varying from large corporates to start-ups. The GRC tools like risk management, regulatory compliance and audit softwares optimize business performance. Simpliance also hosts India’s largest digital platform for automated Statutory Compliance Management which helps businesses comply with Indian Labour laws.